A disabled woman in a wheelchair was denied entry into a chocolate store in Batu Kawan, Malaysia, on Saturday. The incident came to light after a Facebook user, Rozita Othman, took to the social networking site and said as she took her disabled sister-in-law into Beryl’s Chocolate store, the staff stopped them and said their mosaic tiles would be damaged by the wheelchair. This prompted a backlash from Facebook users who called for a boycott of the shop. This is not the first time such an incident has taken place in the store. In December 2018, a woman posted on the company’s official Facebook page that she was denied entry when she visited the store with a child in a stroller, though there were no warning signs there telling people not to enter with strollers. The New Strait Times contacted a spokesperson of the chocolate company Saturday, who denied existence of such rules. “This might have been a mistake from our new staff. They might not be aware of it. We do not have such rulings. We apologise on behalf of our staff. Anyone with stroller or wheelchair can enter without any problems,” the spokesperson said. In a similar incident in November 2017, a disabled girl in a wheelchair was denied entry into a temple in the Indian state of Goa as vehicles were not allowed inside. The girl’s mother then started an online petition against discrimination. The temple’s management, however, said it was not fair to say that the girl was denied entry as there was no facility to take wheelchairs into the temple premises, local daily the Indian Express reported. In another incident in Georgia in 2013, a disabled girl was denied entry into a museum as the authorities thought her wheelchair would get the carpets dirty. Lexi Hass from North Carolina decided to visit the Ships of the Sea Museum in Georgia but was told she wouldn’t be able to take the wheelchair inside. 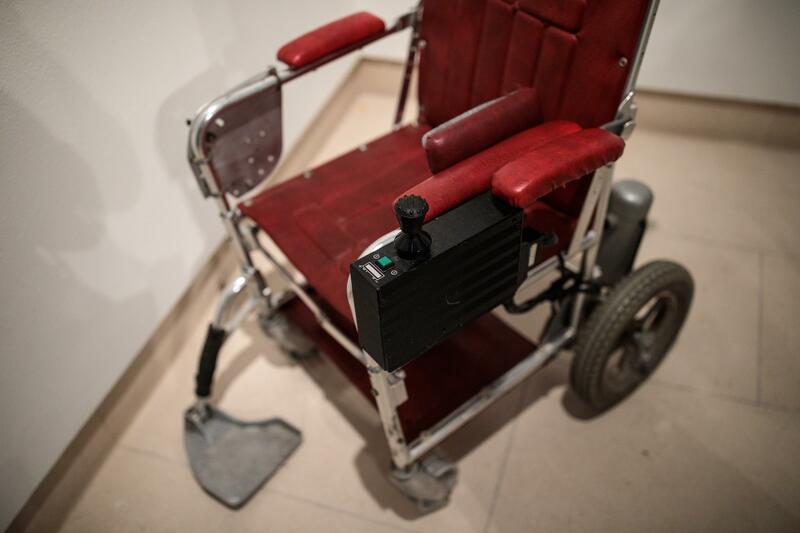 When the girl’s father said her almost brand new wheelchair was no dirtier than his shoes, he was informed that Hass could use the wheelchair provided by the museum. However, this wasn’t a good option as her wheelchair was specialized. The family did not enter the museum, the Daily Mail reported.